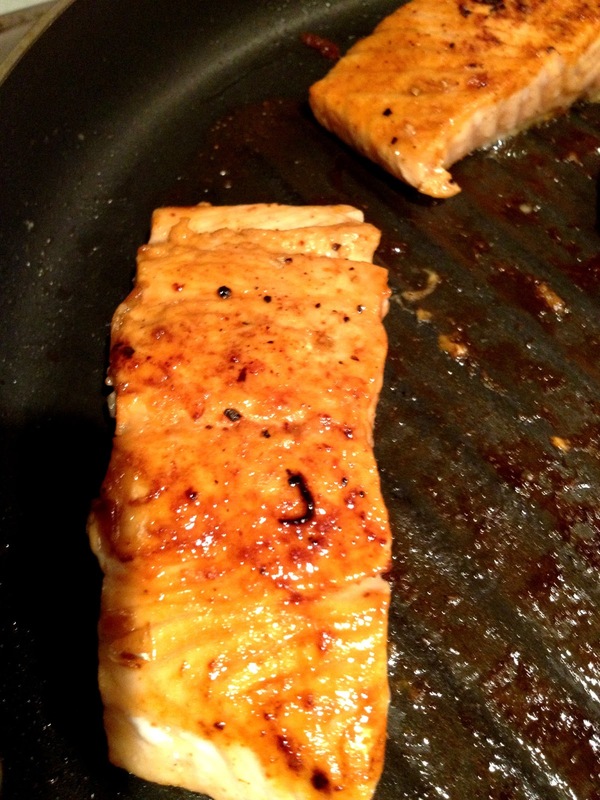 I first shared this recipe with you in March, 2011. We love this dish and have made it a few times since. 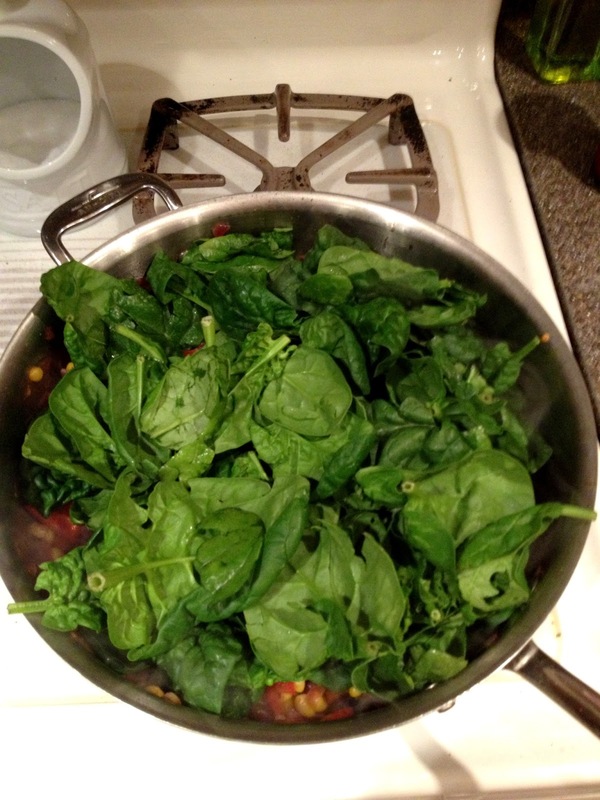 This week, even though it’s brutally cold out, we are on a kick of making light yet delicious things for dinner. And since black beans seem to be the baby’s new favorite food, it was a must to make for dinner. 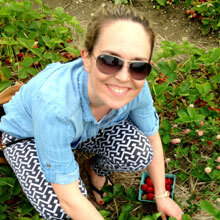 I thought I’d share some new pics and encourage you to try this yummy dish! 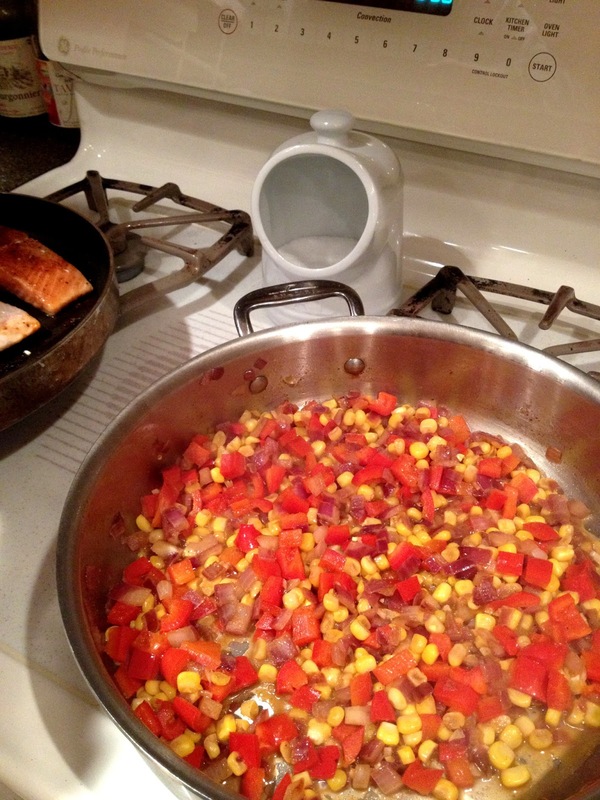 Saute the onion, garlic, red peppers, and corn. 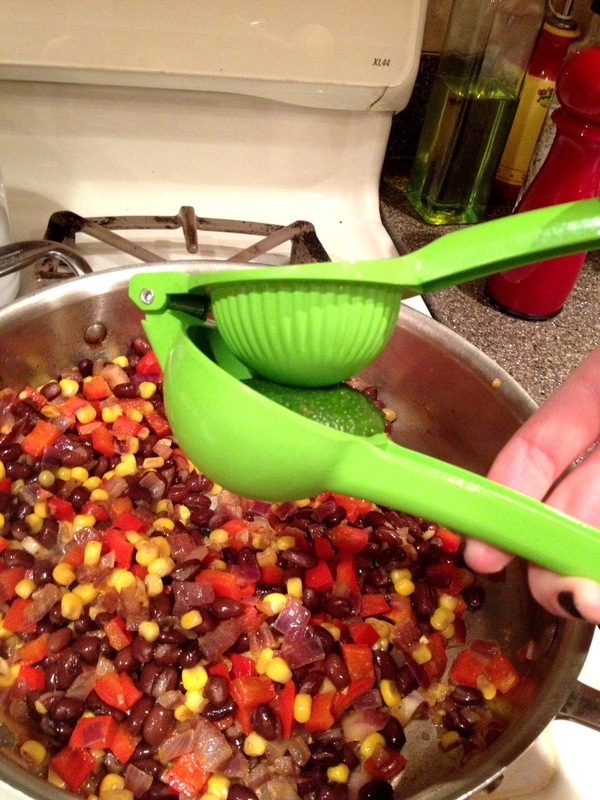 After you add the black beans, squeeze in the juice of half a lime. 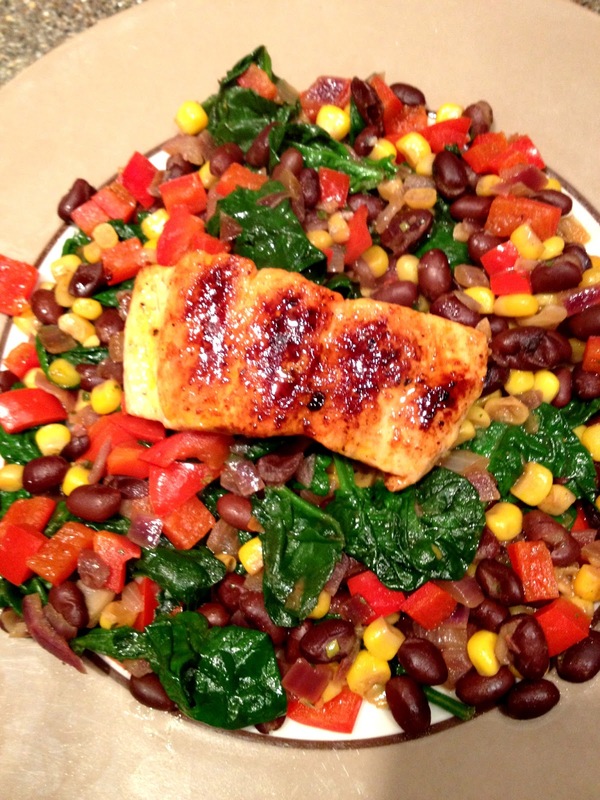 Serve the salmon on top of the bean/corn/spinach mix. Enjoy! Original post with recipe.